On the 1st December 1910, Glen Curtiss founded the Curtiss Aeroplane Company and with that, a long line of aircraft design and production began. One of the earliest designs to come out of the company was the Curtiss Pusher. 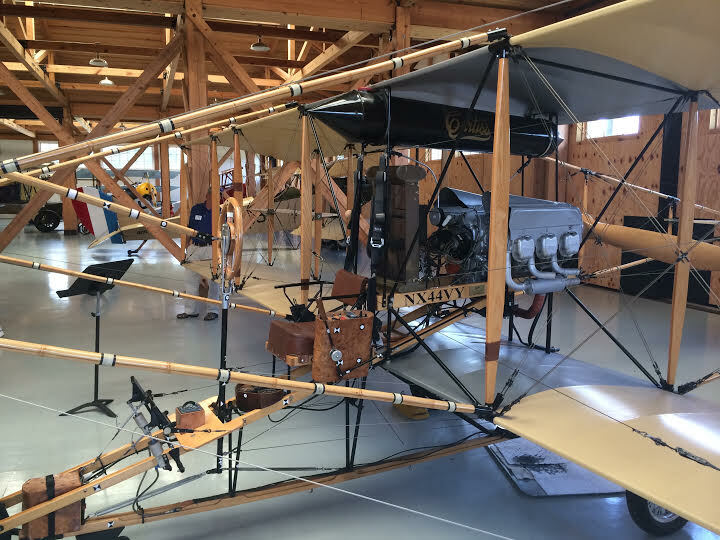 Built in a similar fashion to the Wright Flyer, the aircraft was a busy picture of wires and fabric. 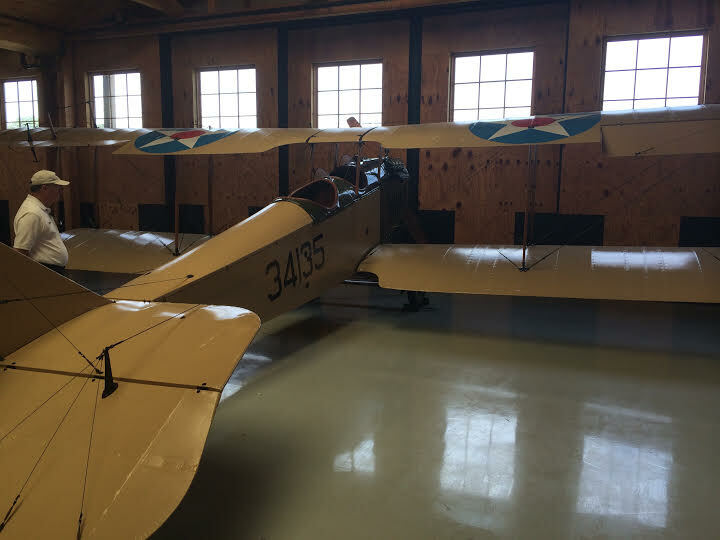 The aircraft was first built and flown in 1911 and went on to become a pioneering aircraft for the US Navy, becoming their first aircraft to take off and land from a ship. Unusually for an aircraft of this era, rather than using the more commonplace wing-warping, the pusher used ailerons. A number of replica examples are still kept in flying condition in the states, including an example at the Military Avaition Museum in Virginia Beach, shown below. Curtiss Pusher at the Military Aviation Museum. The next “milestone” aircraft for Curtiss was undoubtedly the JN-4 or “Jenny” as it became known. This training aircraft, introduced in 1915 went on to be used extensively, with an estimated 95% of all American trainee pilots having had time in a Jenny. Following World War 1 the Jennys were all sold off to the civilian market where they became stars of the barnstorming shows and early wing walking displays. A number of Jennys still remain to this day. Curtiss Jenny at the Military Aviation Museum. 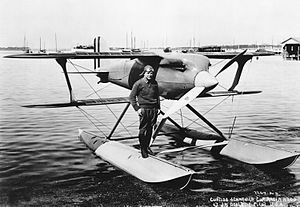 Inter-war success came for Curtiss at the Schneider trophy, which they one twice, in 1923 and 1925, a very impressive feat and display of power. The winning aircraft were the Curtiss CR-3 and R3c-2 respectively. 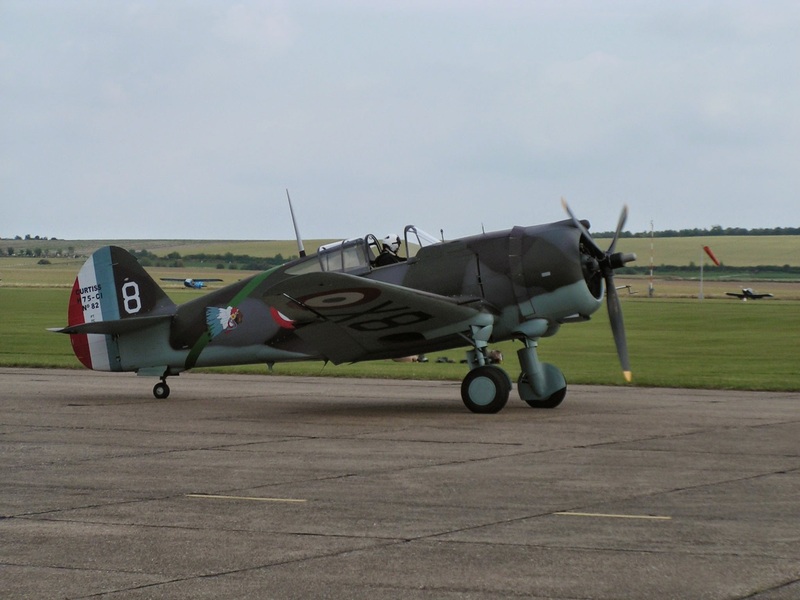 Of course, arguably the company’s most famous aircraft came during world war two, with the Hawk series of Fighters. I took a detailed look at the UK based examples Here. 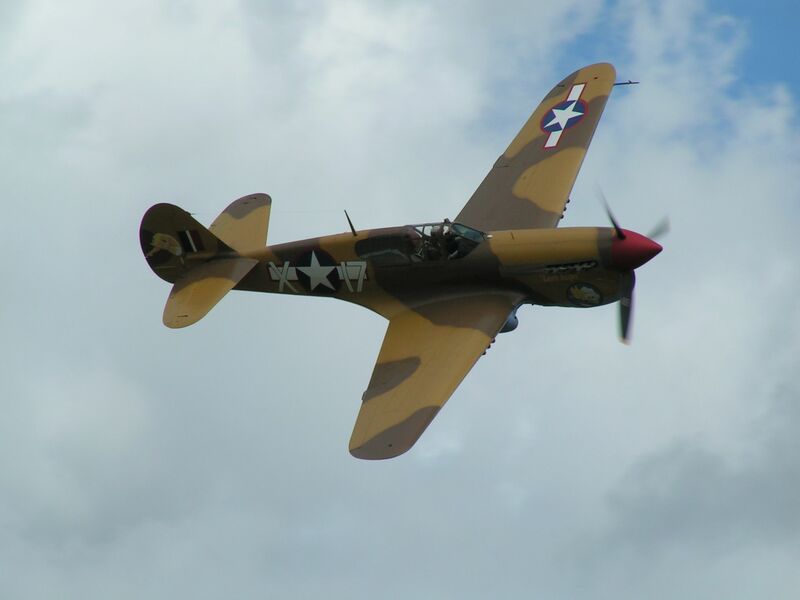 Starting off with the radial engine P-36, which eventually became the famous p-40, Curtiss managed to create an excellent and widely used fighter. Whilst it didn’t get the fame and accolades as some of its contemporaries it was a capable machine and performed in most theatres of the war. It shows that the aircraft was a popular design as there are still many examples flying around the world. Curtiss P-36/Hawk 75 at Duxford. Curtiss returned to their Navy heritage during the war as well, with the imposing Helldiver. A huge dive-bomber aircraft which first flew in 1940. One of these aircraft still remains flying with the Commemorative Air Force and tours America every summer. 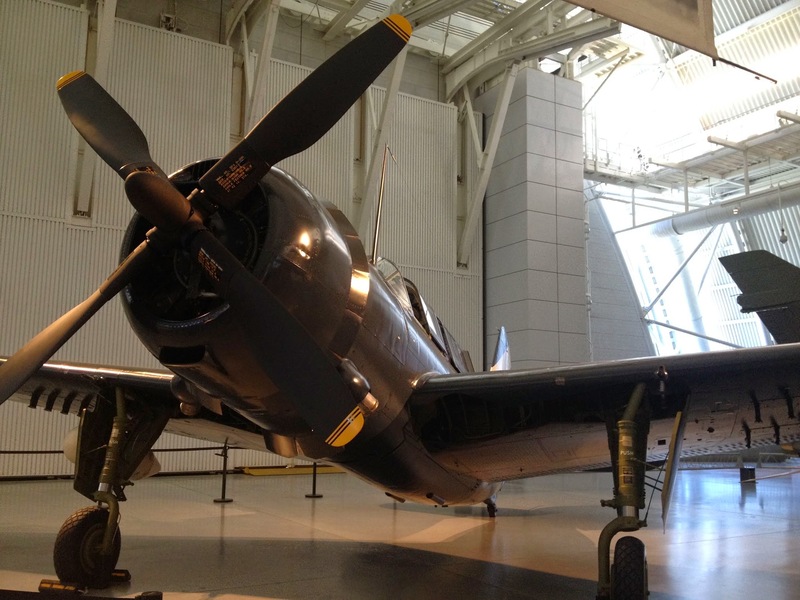 Curtiss Helldiver at the National Air and Space Museum. 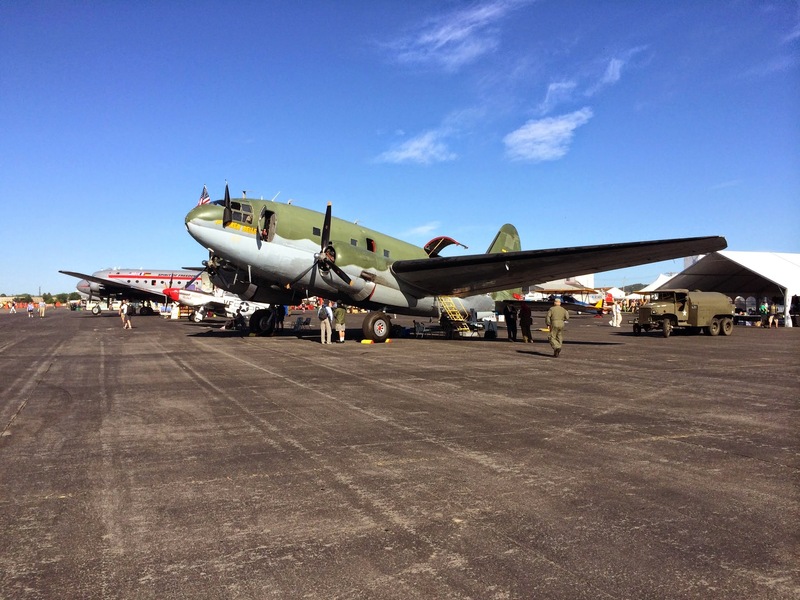 In 1941 Curtiss revealed the C-46 Commando transport aircraft into the world. An imposing aircraft with a distinctive profile, its odd shape was due to the aircrafts intended career as an airliner. The fuselage took on a unique shape to allow the cabin to be pressurized. However with the outbreak of war these plans were shelved and the aircraft was converted into a transport. With large load carrying capabilities the C-46 should have been a very capable machine. However the aircraft did have difficulties when operating in crosswinds and as such did not have the best accident record. C-46s are still used commercially by Buffalo Airways, made famous by the Ice Pilots TV show. Of course Curtiss produced countless other aircraft over the years but these are to me the most famous examples to come out of the design house. 104 years on Curtiss aircraft and Glen Curtiss’ legacy still live on.